I am pleased to inform everyone that the Board last night confirmed the appointment of Kevin Lowry as Interim Chief Executive for Wythenshawe Community Housing Group. 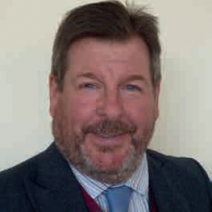 Kevin is an experienced Chief Executive with 40 years' experience in housing , the third sector and public services. He will take up the post in January following my departure and will be coming in before Christmas to facilitate a handover and meet colleagues. It’s envisaged that Kevin will be working on 3 day a week basis for 6 months depending on the appointment of a permanent post holder. The Board have also decided to appoint Gatenby Sanderson as the partner for the next recruitment drive for the Chief Executive role, they have a strong track record in the sector after several high profile appointments recently.